Over time, files, cache and other data that gets accumulated in your Mac, would slow it down and affect its performance. Working on a slow computer can be a real nightmare but if the problem is caused by several (and often unnecessary) files dragging your system down, cleaning it up can get things resolved. Stellar is recognized for its efficient data recovery solution, but its powerful cleanup software for Mac is also worth taking into consideration. If you have noticed that your Mac is running slowly, it is likely that you need to remove unwanted files and this can be easily done with the the help of Stellar SpeedUp. Here is more about what this software offers. What can you expect from Stellar SpeedUp? When your Mac starts slowing down the culprits are likely to be large files, temp files, logs, extensions, cache memory and other things that are preventing your system from completing tasks at good speed. Cleaning up the junk that is taking its toll on the performance of your Mac will allow it to run fast again. Custom software like Stellar SpeedUp will enable you to get rid of all the applications and files that are keeping your Mac from working as it should be. The software can clean up duplicate files, log files, large files, universal binary files and others that you don’t require. You can schedule cleanup operations on a regular basis. Apart from improving speed and boosting performance, there are other advantages of cleaning up your system. You can get more usable space in your computer as all the data that is not required or that is redundant, will be removed. Freeing up space on your Mac will allow you to get other applications that you need. Another reason for cleaning up your computer is security. A cleaning up tool like Stellar SpeedUp will also remove history data, internet cookies and other traces of personal information from the system. This will enhance your protection against possible data breach and will keep your identity protected. Furthermore, your system could be infected by malware and viruses, which can be tackled and removed by cleaning up your Mac. 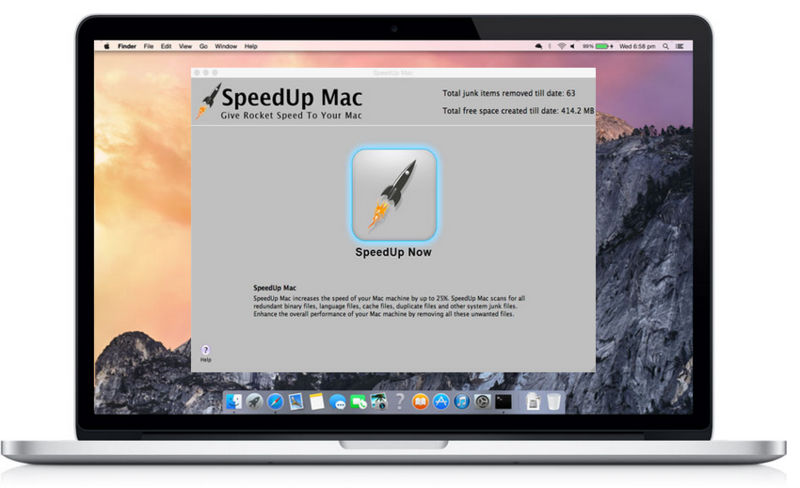 With Stellar SpeedUp Mac you can help your Mac to achieve its peak levels of speed and performance again. You can forget about significant waiting times when you are opening applications and files. The software is easy to use and offers a clean interface that displays all the information about the data removed from your system. It works with Mac OS 10.5 (Leopard) and above. Once the software is installed and running, you can choose the areas that require scanning and cleaning, then you can press SpeedUp. The tool will automatically check all the data on the boot volume and it will give you the possibility of choosing which files should be removed.Alternatively, you can opt for removing all the cache and junk in order to clean up your Mac to enjoy a faster and seamless performance. With SpeedUp Mac you can get rid of videos, songs, large files, photos that you don’t need anymore, duplicate files, internet cookies and temporary files from any volume of the system. Its latest version also offers the possibility of removing duplicate files from iTunes, iMovies, iPhoto & Aperture. Stellar SpeedUp Mac offers a simple, safe and effective solution to improve the speed and performance of your Mac by deleting unnecessary files. It offers the possibility of managing applications and extensions from a single window. 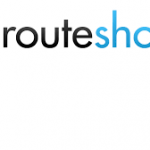 The software can be downloaded for free so that you can get an overview of what it can do. After the free trial period, you can purchase it for $34.99.